The Slender Nation Rules/Guidelines (v.5.0) - READ BEFORE POSTING. In order to maintain a pleasant experience for everyone on Slender Nation, you should follow these rules that outline what is regarded as proper and accepted behavior. These rules have been made in the effort to minimize conflict and increase your overall enjoyment of the site. The Slender Nation Administrators and Moderators have the authority to enforce such rules and act on behalf of your own, as well as Slender Nation's best interests. 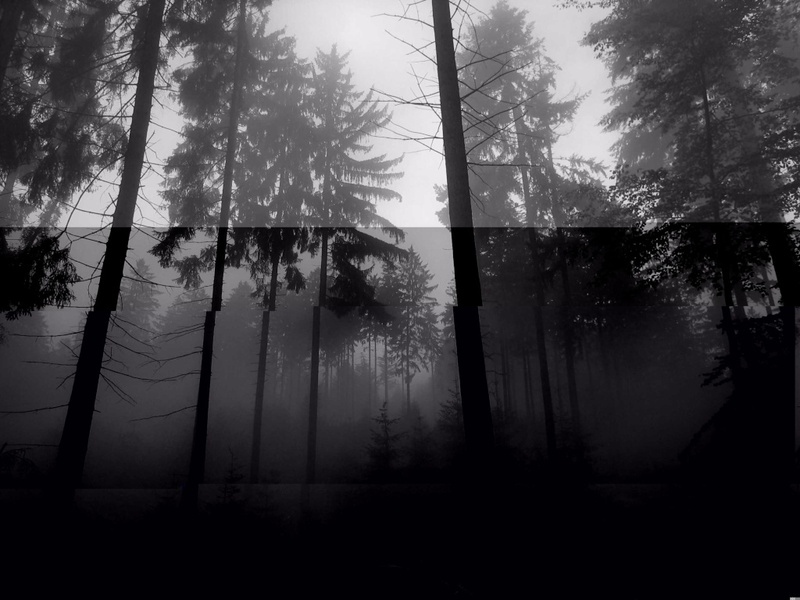 Disclaimer: The Slender Nation is a Horror-based Forum Community dedicated to the vast amount of media content pertaining to the meme known as "The Slender Man". If you are under the age of 13, you CANNOT join this site. This forum website also contains content not suitable for people under the age of 17, but will still allow members of the age 13 and above to join. The majority of content posted in this forum is created by members of the public. The views expressed are theirs and unless specifically stated are not those of Slender Nation. We accept no responsibility for any loss or harm incurred. We are not responsible for the contents of any other websites to which we provide a link, and do not necessarily endorse the views expressed within them. To summarize the rules in a simple manner: Do Not Be A Fuckwhistle. 1. Do NOT Post "In Game", or "In-Character" spam. 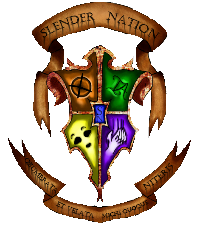 The Slender Nation, for all intents and purposes, is mainly an "Out-Of-Character (OOC)" site for users to post freely. This means that any posts as a character from any series on the forum, promoting a vlog or blog In-Character, posting about being stalked by Slender Man or anything of that sort, WILL NOT be tolerated. However, replies to Trailheads as though it is non-fiction are acceptable. 2. Do NOT "Plug and Run". A Plug and Run is when you post/advertise your blog/series and then don't post anything else on the forum, leaving it behind. If you do so, you have a week to post elsewhere before we take any action. This also applies to "Let's Plays" of the game "Slender". 3. NO Spamming. Spam, or posts that are nonsensical or irrelevant to the sub-forums in which they're posted, are not acceptable. This also counts as double/triple posting, one-word posts, advertisements, and topics that don't belong anywhere on this forum. 4. Do NOT necro threads older than 60 days/2 months. Exceptions may be made for Trailhead updates. Please ask an Administrator or Moderator for permission if you wish to revive a thread/topic and inform them of what you intend to post to it. If a thread is locked, you can ask to have it unlocked but only if a post is approved by an Admin or Mod. As a standard, all topics that haven't been posted in from 2011 and back have all been locked. 5. Do NOT Disrespect Other Users. Be nice and respectful. If you are excessively vulgar, insulting, explicit, hateful, or if you post material that is provocative or intended solely to offend other members, it will not be tolerated. 6. Do NOT Harass Members. If a member is reported for harassment of any kind; sexual harassment, emotional harassment, stalking, etc., it will be dealt with accordingly. 7. Do NOT use outside or forum-based personal issues/vendettas to instigate problems within the community. Same goes for trying to instigate or escalate problems between users. 8. Do NOT try to impersonate an established Slenderverse creator, another user, or Slender Nation Staff. This will be taken care of immediately. 9. Do NOT make multiple accounts on Slender Nation. We do not tolerate it whatsoever. Alternate accounts will be made inactive and/or banned, depending on the situation. If an alternate account has broken other rules on the site, the user will accumulate those warnings and/or bans onto their main account. However, if a member is having technical trouble when trying to make an account and accidentally make more than one, they can contact a Tech Moderator and/or Administrator for help. 11. Refrain from posting Mature Material. Any material that is sexually explicit, pornographic, depicts excessive violence, and/or gore is not encouraged. (Refer to Guideline 3 for the guideline to posting mature material.) Despite the guideline, any mature material that is too excessive for the members of this forum will be removed accordingly. 12. Do NOT post Harmful Images. Certain types of graphic images that may contribute to, or cause viewers to experience an adverse physical reaction, such as migraine headaches or seizures, are not permitted. Should your post or signature contain such an image, it will be removed. 13. Refrain from using inappropriate Profile Content. Anything excessively vulgar, insulting, explicit, hateful, or breaks any other rule of The Slender Nation that is found on your profile will be removed/edited. 14. Signature Content. Any images in your signature must not break past the post border. Do not stretch the page with your signature. The content will be removed if it exceeds the post border and/or expands the page. This section is for Sub-forums that need elaboration upon. Out-Of-Game Discussion: This sub-forum is meant for the OOG (Out Of Game) discussion of Slender Man vlogs and blogs. It is highly recommended that if you don't want to ruin any and all immersion, do NOT check this sub-forum. You've been warned. If there is a complaint about Out-Of-Game info received from there, used elsewhere without permission, there will be a temporary ban. This applies even more so with the intent to ruin a series, or try to game-jack it. Flamewars: The Flamewars is a sub-forum for when other members discuss problems involving the site and/or members, or topics in general. It's meant to isolate the incidents from the rest of the forum so it doesn't affect other topics. However, this does NOT give you permission to break the rules that have been established when posting in this sub-forum. Try to remain civilized despite how strong your emotions may be about the subject. While these may not be rules, following the Guidelines are highly encouraged and my help in following a procedure that strays from rule-breaking. 1. Please post in a legible manner. Refrain from using chatspeak and try to use proper grammar when posting. It helps other members to understand what you're clearly saying. Also, try to be sensible when using different fonts and colors when posting. Using a different color for every word/letter isn't really necessary. 2. Don't overreact on members that may not have the best of grammar. We don't need grammar police on the forum. There are other users of which English is not their native language, so please keep that in mind. 3. Any material that is sexually explicit, pornographic, depicts excessive violence, and/or gore is not encouraged. This may be a site about the Slender Man who is of a horror origin, but there are members of a younger audience on this forum. If you do post such material, you MUST label it as "Not Safe For Work (NSFW)", and put it in a Spoiler tag in a post. Reported content or images deemed inappropriate by Slender Nation Staff will be removed instantly as per Rule #11, even if it may be labeled as NSFW. 4. Avoid backseat moderating. Please use the Report System instead of taking matters into your own hands. The Report System is for when you find a topic or post on the forum to be breaking the rules. By doing this, it will notify the Staff immediately so that they can take care of the problem, and it'll keep the forum cleaner without having threads de-railed by these situations. 5. Keep in mind that others may have differing opinions to your own. Don't try to force your opinions on the other members. If you have facts to help support your opinion, or have a solid fact to disprove an opinion, then that's perfectly fine. Just don't have a discussion degenerate into an argument over who is "right" and who is "wrong" when a theory or speculation isn't set in stone. 6. If someone disagrees with you, don't take it personally. They don't have it out for you or hate you just because they may disagree with something you post. It's better not to dwell on such thoughts, as they could cause problems later on. 7. Be mature enough to admit when you're wrong. You can't always be right. 8. When posting a new topic in a thread, please check to see if pre-existing topics or similar content to what you're posting hasn't already been provided. This helps keep the forums tidier and all of the content to a topic in one place. Same goes for when you're posting in a thread. It helps to fully read through the thread, for someone may have already posted the content you want to post on a previous page. In accordance with Rule #4, if you wish to revive a thread/topic that has passed the 30 day limit, please ask an Administrator or Moderator for permission and what you intend to post to it. If a thread is locked, you can ask to have it unlocked but only if a post is approved by an Admin or Mod. As a standard, all topics that haven't been posted in from 2011 and back have all been locked. 9. In a blog and/or vlog thread. Creators of a series in particular may post in their discussion topics to update them within rule constrictions, but should not reveal too much. We may be an OOG site, but part of the fun is speculating and theorizing. A few small details don't hurt, but giving info away by the handful is going to be frowned upon. If you wish to discuss Out-Of-Game info, there is a sub-forum for that. 10. If you have any questions needed answering in relation to the forum, members, or if you are unsure whether content you want to post violates our rules, it's best to check with a Moderator or Admin before submission. The Staff members of Slender Nation are subjected to the same general rules. However, the Slender Nation Staff reserve the right to maintain the forum by whatever means that may entail. Staff Abuse of Power: If you encounter a problem with a Staff member who abuses their powers, please report such incidents to The Doctor. They will be dealt with ASAP. Appeals Regarding Staff Decisions: If you encounter a problem with a decision that a Staff member made in a thread such as the following. Merging, splitting, and/or deletion of a topic and moving, editing and/or deletion of posts. Please contact Administrator "The Doctor" if you want to submit an appeal. Technical Issues: If you have any sort of technical issues in regard to the forum, such as profile/signature-related problems, and/or account information, please contact a Tech Mod about such matters. Current Tech Mod is The Doctor. Name Changing and Email Address: When you set your username when registering, you cannot change it. Same with your email address. If you want to change either of these, you must contact an Admin and it will be put under review. Admins are subject to accepting or denying your request as they see fit. In accordance to the Slender Nation Rules, the following are the actions that will be taken against rule-breaking, per rule and situation. 1: Warning for posting In-Character, followed by a week-long ban. Second warning if they start again. Permanent ban if they continue to persist. 2: Warning for making their first post about their Slenderseries. Link them to the rule or quote from it that they have a week to post elsewhere. If they don't, then permanent ban. 3: Warning for spamming, followed up by a temporary ban for the rest of the day if they continue. Last warning if they spam again, followed by a two week ban. Permanent ban is necessary if they continue after the first two bans. 4: Warn someone for necroing one or more threads* that haven't been active for over a month. If continued, ban them for a week. Warn again and then ban longer if they continue. *If someone is posting an update to a vlog and/or blog, they need to inform a Moderator before posting to an older thread, and what they intend to post. If the thread has been inactive for over a year, a Moderator can unlock it for them, or they can make a new thread for it. If a sole person is the only one contributing to a series thread, such as a creator, there will be a point to where it will be considered spam and appropriate action will be taken. 5: Only two warnings will be given for disrespecting other users. A week-long ban will occur after that. A single warning will be issued if they still persist, then followed by a month-long ban. Instant permanent ban will follow that. 6: A single warning will be issued if a user harasses someone else. Then a permanent ban if it happens again. 7: Single warning for bringing outside problems onto this site, followed by a permanent ban. 8: Instant permanent ban for anyone who impersonates a creator, another member, or Staff Member. 9: A single warning will be issued for anyone who has another account on the site. Alternate accounts will be made inactive or will be banned. If alternate accounts have broken other rules, any warnings and/or bans will be issued on the main account as well. 10: If you break any regional laws, you get a single warning, followed by a two-week ban. If it continues, there will be a final warning before being permanently banned. 11: Warn 1-3 times depending on severity of the Mature Material of the content. Ban for a week if they continue. Final warning before a month-long ban. Permanent ban afterward. 12: All harmful/seizure-inducing images are to be removed, and there will be a single warning for the user who has it. If they put it back up, they are banned for a week at minimum. 13: A warning will be given to users with inappropriate profile content and must remove it. If they don't comply, it will be removed forcefully. If they put it back up, they are banned for a week at minimum. 14: A warning will be given to users with inappropriate signature content and must remove it. If they don't comply, it will be removed forcefully. If they put it back up, they are banned for a week at minimum. OOG Discussion Rule: Warning, and then temporary ban if a user takes OOG info from there and uses it elsewhere. If done more than once, warn again before permanent ban. Flamewars Rule: Warn all members involved if discussion gets too out of hand. If it continues, warn/ban by accordance to our standard rules. If someone gets more than three warnings for various occurrences of rule-breaking, then they are banned for two weeks. The following are Forumotion's Terms of Service that you also agree to when you register an account. Failure to follow the rules may result in your account being banned from The Slender Nation. If your account is banned, you will no longer be able to access your account until the time period ends or if the ban is removed, unless it is a permanent ban from the site. These rules are subject to change as necessary. Failure to comply with these rules may result in disciplinary action and ultimately the termination of your Slender Nation account. Thank you for taking the time to read through our rules and guidelines, and please enjoy your stay at The Slender Nation!